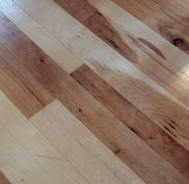 PARQUET-A geometric patterns floor, usually nonlinear, and often suing many pieces of a wood species to form a pattern in alternating panels, and elaborate patterns. 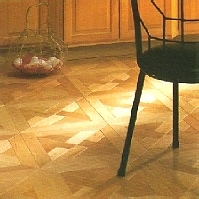 PARQUETRY- Simply Marquetry on the floor using exotic wood floors species and products. 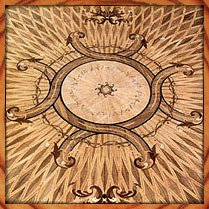 MARQUETRY-Paper thin veneer of various wood species, cut within each other to create detailed and intricate designs, most often used in high end furniture, and is a favorite of antique collectors.